Today’s Guest post is looking at how to make the most of a small space with space saving furniture and great storage! Thank god for furniture designers. There’s no doubt that living in a small space can seriously limit your bedroom furniture options. But thankfully, these issues can be overcome. With the help of space saving furniture and storage units, your bedroom can still look classy in spite of any initial spacial limitations. Sure, your room might not carry the same grandeur one would associate with a master bedroom, nor the exquisite Revival Beds furniture such a space would allow for. But certainly it will appear to have doubled in size from what it once was! Try some of these great space saving tips and find out for yourself. Of course, all of us wish we could have a luxurious, king-sized bed in a massive, high-ceilinged room with dimensions that border on decadence. But if such a lavish dwelling is beyond your financial means, learning to make the most of the space you do have is your most practical option. After all, even if you were to have a massive bed in your small room, it would leave very little room for anything else! So instead of overcrowding an already limited space, consider investing in wall beds, pull down beds, or even sofa beds. Or if it’s the children’s bedrooms that are lacking space, perhaps look into getting bunk beds instead. These truly are classic space saving pieces of furniture, and they can provide a fantastic solution for those struggling to make the most of their available space. 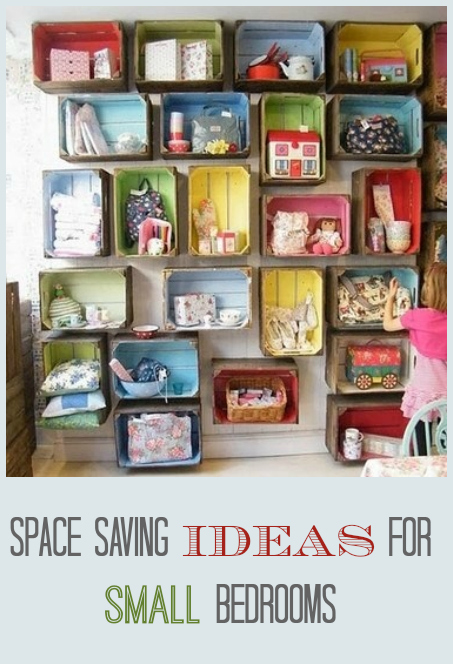 Having the correct storage can be a godsend when it comes to space saving. De-cluttering your bedroom is an absolute must in order to make the most out of the space. So get rid of all items you do not need and get pack your remaining possessions away into one of the many great storage solutions. Storage boxes are a fantastic place to start. Not only are they very compact but they are also easy to slide away somewhere, if you want to make even further use of the space. On the other hand, with their many colours and patterns, storage boxes themselves can be very decorative, so you may want to leave them out. Another great solution is a storage unit. These are larger than storage boxes of course (generally either four or six cubes), but they look great and are able to house a substantial amount of clothes, books or even just clutter that hasn’t found a home yet. When it comes to furniture and storage solutions, prices are often very competitive. So be sure to do your research online and in store in order to get the best possible deal for yourself and your family. Where do I get crates like these in the photo? Love them!